*disclaimer: I live in Australia, which as we all know is literally** 5000 km from the sun, which is why it’s so stinkin’ hot down under. **literally here being used in the figurative sense, of course. Remember that our major source of information about the sun’s size is it’s appearant extent and the distance estimate (for a long time, this was the only good information available), thus a close sun is a small sun. One would assume that were the sun only 5,000 km away, it would be about 44 km in diameter and would not heat the Earth excessively. You have to remember, if you’re rejecting the round Earth hypothesis in favor of a flat-Earth hypothesis, a lot of the rest of what you think you know goes with the round Earth. What issues? If the sun is only that far, it is also a lot smaller than the standard model states. The effects should balance out, so that the light and heat from the sun depends pretty much just on the apparent angular size and the surface temperature. You’d need major modifications to the physics of how the sun generates its heat, however. Apparent angular size is going to vary a lot depending distance from the point directly beneath the sun. 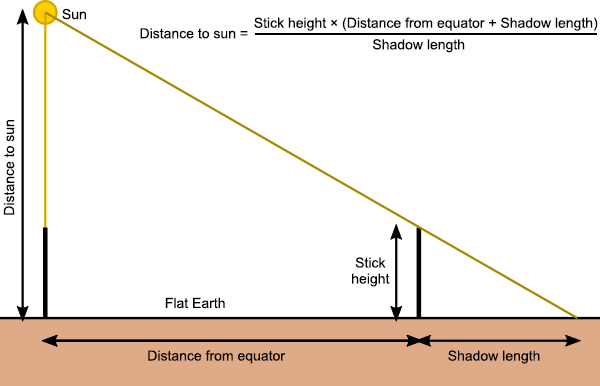 One the equinox, the sun is directly above a point on the equator (verifiable by direct observation), the sun is at the horizon as seen from the North pole (verifiable by direct observation). The sun appears to have an angular size of 0.5° (verfiable by direct observation) we will take that WLOG as the equator measurement. 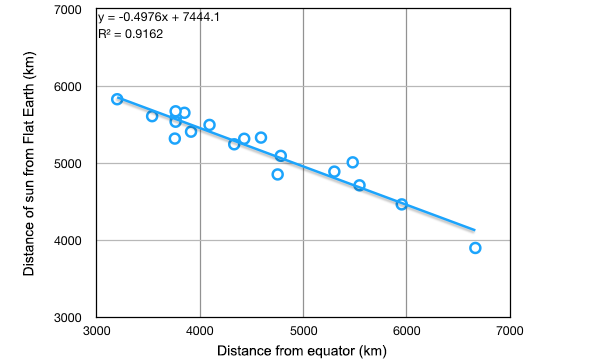 At the North pole, the sun would be (Sqrt(5000² + 10000²) 11,180km away and thus have a angular size of (arctan(tan(0.5)*5000)*11,180) 0.22 degrees. Easily measurable. 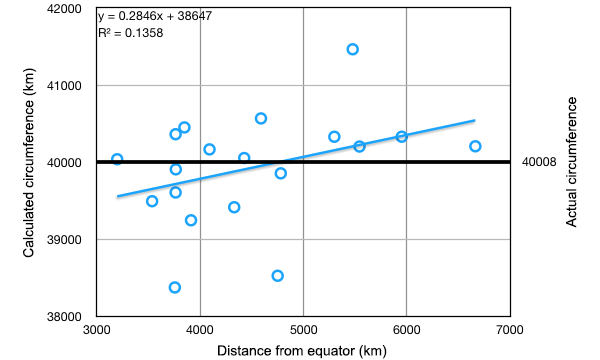 And, of course, it would vary continuously for any distance from the equator.